In light of the upcoming 7th Africa Water Week from 29th October to 2nd November, 2018 in Libreville, Gabon, WIN has asked several of its partners about their work, and what immediate actions they see as crucial to help ensure water integrity across the globe. 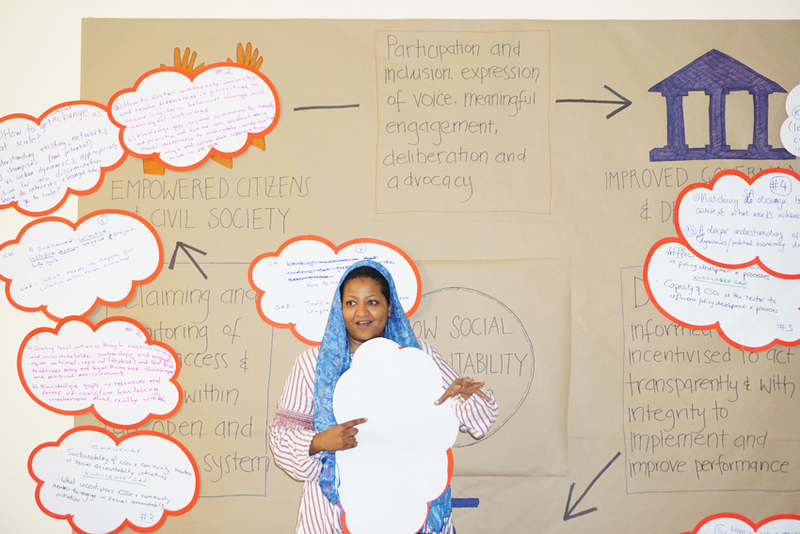 This is what our partners African Civil Society Network for Water and Sanitation , CARITAS Switzerland Kenya Country Office, Centre for Social Planning and Administrative Development and Kenya Water & Sanitation Civil Society Network have to say! ANEW works towards ensuring the voice of the people across the continent are not only heard but taken into policy and practice considerations. With the ever shrinking space currently being experienced, an organization such as ANEW which has the legitimacy and position of CSO representation at a high level can influence policy and decision makers to ensure water security and safely managed sanitation. The partnership with African Ministers’ Council on Water (AMCOW) and presence in various policy and decision making structures facilitates collaboration between policymakers and stakeholders, and encourages equal participation of all parties in governance and decision making mechanisms. Recognition by the sector and its actors that governance and integrity are key ingredients in enhancing sector performance. While a lot still remains to be done from sector stakeholders to curb losses due to corruption and poor governance, the issue of governance has become more prominent in sector policies and practices. What still remains is better positioning sector governance in the policy discourse within the continent, enhancing sector governance capacities and building social and political capital to demand and enforce accountability on the effective and sustainable management of Water Resources and the environment and ultimately hold WASH duty bearers to account on the performance of WASH services. Apart from the increase in sector investments and prioritising the sector, an increase in governance commitments through interventions and investments in relevant components is still required. We still need to see states taking steps towards defining sector governance as a goal and committing resources to the implementation of a governance action plan. Let there be more efforts from the states in convening a governance forum for example, and/or deploying resources that go beyond the standard monitoring practices to ensure that sector investments are not lost and misused and seeing civil society as a partner in achieving SDG 6 and the continents development vision. Getting water integrity high on the development agenda and mentoring water integrity champions will require engaging with all sector stakeholders. While our target is mainly policy and decision makers, CSOs and development partners equally require support in pushing the agenda forward, analysing the sector through the governance lens, ensuring that water integrity is integrated in their messages and interventions. With the sector in Africa still heavily dependent on foreign assistance, engaging on the topic with international financial institutions and donors on water integrity is critical in ensuring some form of peer pressure. 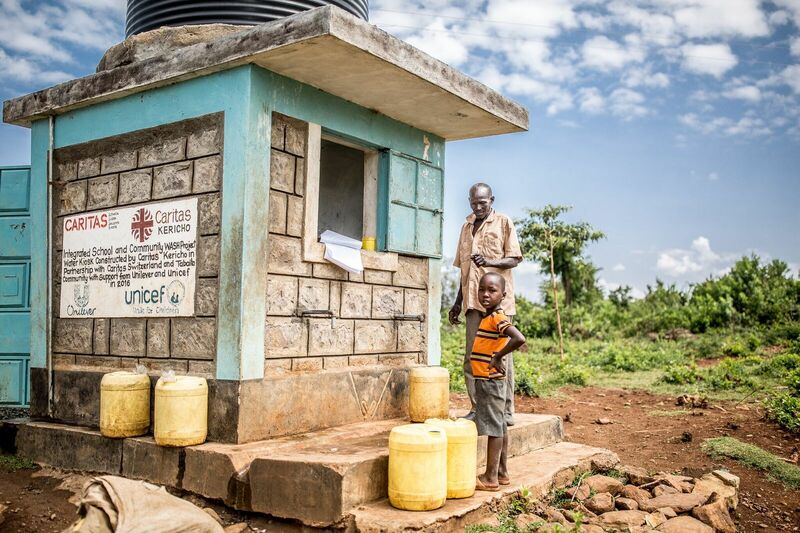 WASH is a key field of activity of Caritas Switzerland in Kenya, Ethiopia and South Sudan, among others. In addition to working with communities, many projects have focused on schools with the aim to ensure access to WASH facilities for students and to improve H&S conditions in schools. Since its development in 2002, Caritas Switzerland has been applying the Children’s Hygiene and Sanitation Training (CHAST) methodology. In Kenya only, Caritas Switzerland has worked in more than 80 schools and reached more than 25,000 students using CHAST. In Kenya, Caritas Switzerland´s work has grown from basic humanitarian response in the 1990s to expanded programming guided by the commitment to link relief, rehabilitation and development (LRRD) since 2013 when Caritas Switzerland rolled out recovery and development projects. Our organization is growing from basic humanitarian response to development programming. 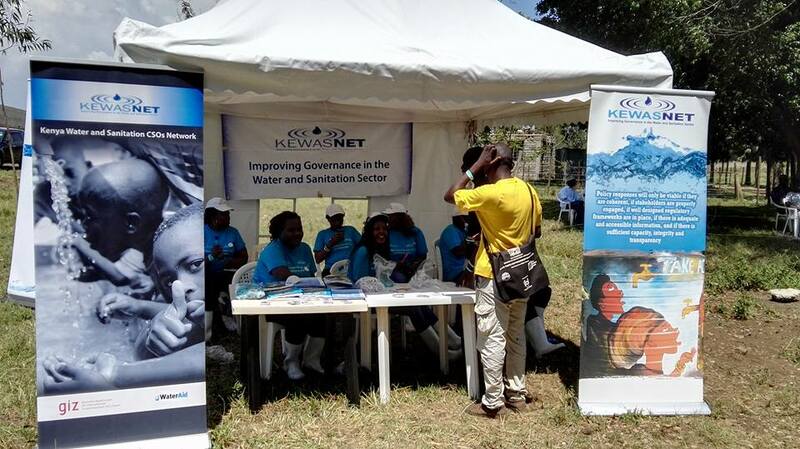 We are working closely with the County governments and system strengthening, particularly supporting WASREB (Water Services Regulatory Board) in the development of regulations for small water supply systems, and providing training to the CSOs sector in Kenya on the regulatory framework. We would like to see more deliberation on prevailing challenges and coming up with strategies that fast track the sector agendas in improving water and sanitation access for all. B) establish an appropriate management model with inbuilt accountability mechanisms to monitor the quality of services provided and manage water resources sustainably, with the aim to protect customers. b) and the achievement of various SDGs such as water, eradication of extreme poverty and hunger, environment and developing partnerships. We focus on coordinated decision making processes across all sectors within a river basin system that recognise the bottom up approach and inter sectoral approaches to water management. 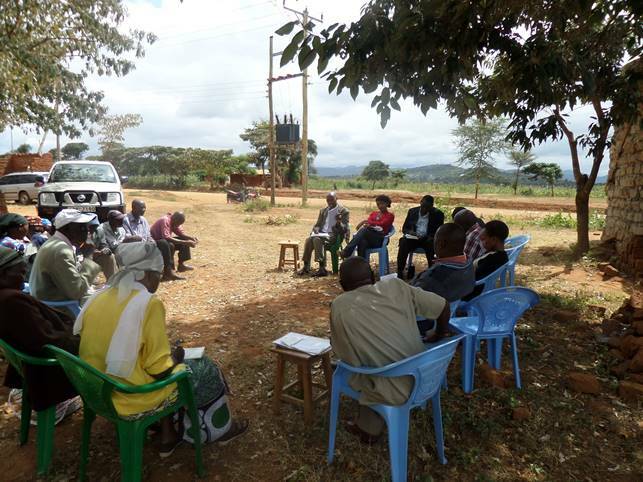 CESPAD has been providing guidance to the communities on being better water stewards by building their capacities on water and environmental conservation, institutional governance, advocacy, financial management and resource mobilisation. With time, the communities have begun to understand their rights, roles and responsibilities in relation to water management. The desired outcome is that the community will exercise their right and participate in water governance processes thus promoting better service delivery as well as demand for accountability and transparency from the duty bearers in water services. With the fast growing African economy, we would like to see policy makers create an enabling environment by integrating policies, laws and financing mechanism, managing knowledge (tacit and explicit) and participation of all actors towards better water governance. We hope to continue contributing to the implementation of the county government’s water agenda and priorities including sector specific policy and legislative reforms – advocating for good water governance aimed at assisting counties realize the sustainable development agenda and achieving the SDGs and other national development priorities such as Kenya’s Vision 2030, among others. We also hope to work towards more collective action from different stakeholders including citizens, institutions of higher learning, Government and private sector institutions on issues of water integrity. KEWASNET works closely and collaboratively with our member organizations and the national and county governments to ensure that there is constant advocacy on issues around good governance in the sector. We focus strongly on sensitization and influencing of policies around issues on water supply, resource management as well as working towards ensuring proper sanitation and hygiene practices in the country at large. Through our intervention and close partnership with other sector players, several counties after a series of advocacy efforts have been able to see the significance of having water policies in place and have gone an extra mile to develop them. These include Kisumu County, Kiambu, Homabay Uansin Gishu and we are still working closely with the county Governments to have their own water Policies. The Africa Water Week is more of a political platform and given that it would be prudent to see more or increased peer political pressure among the leadership of the African states towards enhancing of actual delivery of the numerous commitments that have always been made during this conference. For us to achieve water integrity in Kenya we must literary apply the concept of leaving no one behind, ranging from the government, private sector, civil society, and the general public to ensure that we all work towards promoting good governance in the water sector. We are already working closely with government and the civil society through the production of the Annual Water Sector Performance Report in partnership with WIN. The findings of this report are a catalyst to promoting integrity in the sector.